Until I potentially embarrass the hell out of myself. 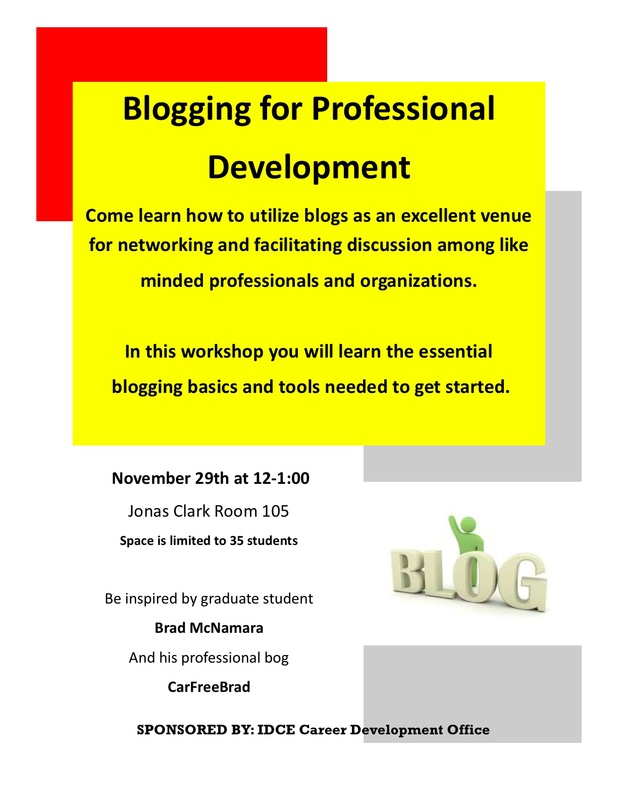 I’m giving a guest lecture at Clark University on blogging and CarFreeBrad. I’m excited but as with any important event last-minute doubts will creep in. I’m in that stage now. Will they like me? Am I really interesting or knowledgable enough to do this? I should have spent more time crafting the hour. Will anyone show up? The good news is that it’s too late for me to do anything about any of these things now. We’ll just see how it goes and hope I don’t crash and burn! This entry was posted in Bike commute, Car Free, Urban Bike and tagged Bike-Friendly, Car-free movement, CarFreeBrad.com, Clark University, Colleges and Universities, Education, Massachusetts, United States, Worcester, Worcester Magazine. Bookmark the permalink.